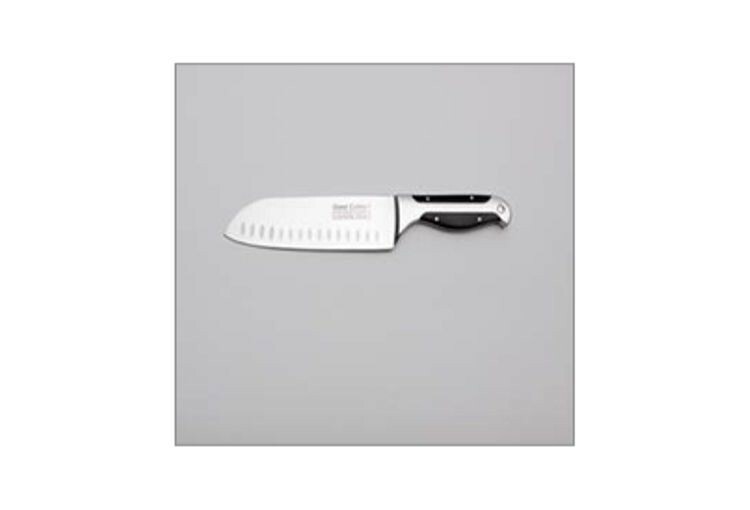 The Santoku Knife, our most popular and versatile item, is used by celebrity chefs around the world. Santoku, a Japanese word meaning "three virtues," is fitting as this knife is wonderful for dicing, chopping and slicing. The Santoku Knife's scalloped design not only adds style to the knife, but allows it to release foods that commonly stick to the blade. Perfect for dicing, chopping and slicing.